Owning and operating a profitable dealership with efficient cash flow all comes down to balancing that cash flow with current inventory. Working through these three floor plan finance formulas periodically and monitoring these three metrics is essential to ensuring the overall balance of inventory and cash flow in your dealership. Every day that a unit sits on a lot, it costs you money. The holding cost per unit per day is a useful metric that can help you keep your inventory balanced as well as determine how quickly you might need to turn a unit. A longer turn time for inventory eats into cash flow. These floor plan finance formulas incorporated with your turn time can help to make or break your dealership’s profitability. Owning and operating a profitable dealership with efficient cash flow all comes down to balancing that cash flow with current inventory. 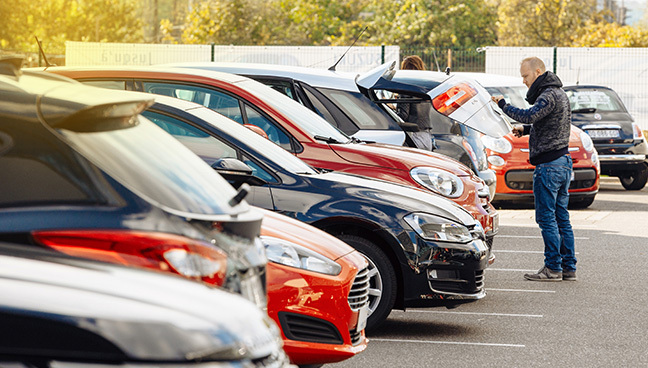 Knowing the answers to three floor plan finance formulas will help ensure your dealership is effectively managing current inventory and cash flow. The answer varies based on realistic, monthly desired sales numbers and turn times. For example, let’s say you want to sell 60 units per month. Assuming the average turn time is 40 days, you would turn your inventory nine times in a year. This floor plan finance formula is essentially the following: monthly desired sales divided by how many times your lot is turned per year, multiplied by 12. In this situation, you would need to stock 80 units based on 60 desired sales per month and a 40-day average turn time. How many sales should you be making based on the units you have in stock? Knowing the target sales number you should be working toward based on current inventory can help determine if you are overstocked or if the number of desired sales per month is realistic. Let’s say you have 108 units in stock. Again, let’s assume a turn time of approximately 40 days (nine times per year). To figure out the number of desired sales, multiply the number of units in stock by nine, then divide that sum by 12. Based on the total number of units this particular dealer has in stock, you should be aiming to make 81 vehicle sales per month. What is the unit holding cost per day? Every day that a unit sits on a lot, it costs you money. Figuring out the holding cost per day allows you to determine what units need to be turned quickly, what units can sit for a while, or what units you should consider selling at auction. This floor plan finance formula requires a good handle on total dealership expenses and inventory for the entire month. First, figure out your monthly holding cost. To do this, subtract your monthly selling expenses from your total expenses for the month. Your monthly selling expenses are variable monthly expenses that are not charged to the customer. These monthly selling expenses include items such as commissions, advertising, salaries, demo expenses and fuel. Let’s say your total monthly expenses are $148,485, and your monthly selling expenses are $57,437. Now you can determine the monthly holding cost per unit once by dividing the monthly holding cost by the number of retail units in stock for the month. Let’s say this month you have 85 units in stock. Now you can determine the holding cost per unit per day by dividing the monthly holding cost per unit by the number of selling days in a particular month. (Selling days are the days that the dealership is open and available to make a sale.) For example, let’s say that in a particular month there are 24 selling days. The holding cost per unit per day is a useful metric that can help you keep your inventory balanced as well as determine how quickly you might need to turn a unit. Why do these formulas matter? These floor plan finance formulas incorporated with your turn time can help to make or break your dealership’s profitability. Let’s say you make a profit of $3,000 per car sold. If your holding cost per day per unit is $44.63 and your turn time is 60 days, you will spend $2677 of your profit holding on to a non-selling car! A longer turn time for inventory eats into cash flow. A general rule of thumb is that, once a unit moves past the 60 day point, you should start thinking about what might become frozen capital, or a non-adequate return on investment. While every individual dealer will have to decide on optimal turn time, break-even point, and subsequent exit strategy for inventory that isn’t sold within a desirable time period.